Schools are reminded to NOT purchase school management software. View timetables and results for all student examinations. Sustainable water, sanitation and hygiene interventions are urgently needed to improve the lives of school children throughout Vanuatu. This report details the road to improvement. Use MoET's online mapping platform to find your school and explore Vanuatu's many languages. Learn about MoET's Early Childhood Care and Education resources and services. The Vanuatu National Provincial Secondary School Games for this year 2018 will be hosted by TAFEA Province. Our vision is for a caring education system which provides every young person with the lifelong skills, values, and confidence to be self-reliant. The Ministry of Education and Training (MoET) is the largest service deliverer and employer in Vanuatu. The core purpose of the Vanuatu National Curriculum is to provide a quality, relevant and harmonized curriculum to all students in Vanuatu from preschool to year 13. 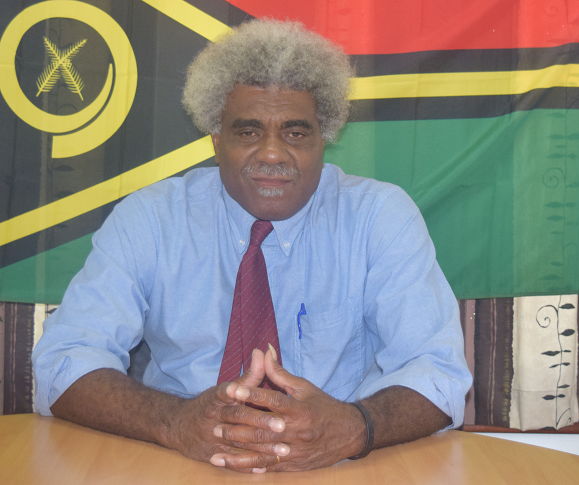 Vanuatu's constitution and all acts relevant to the education sector. Find out more about initiatives, co-sponsored by the government, NGOs and Donors, like the Education Partners Group and the Vanuatu Education Sector Program. Welcome to the website of the Vanuatu Ministry of Education and Training (MoET)! I am very happy that you have found this site, and hope that it will be extremely useful to you. Our goal is to provide content that will be useful and attractive to all our major stakeholders: students, parents, teachers, school administrators, education officials, and the public. We have designed the site so that your stakeholder "role" will lead you to useful content. So if you are a student, look first under the "student/parent" tab, and if you are with the media, look under the "media" tab above. And so on. In the long term we want our site to have a tremendous amount of content in English, French, Bislama and vernacular island languages, to better serve all our citizens. Thanks for your interest in the children and youth of Vanuatu.